In blender, grind 1 cup flax seed. In food processor, grate 1 large white onion. Remove shredder disc and replace with plastic mixing blade. Pour flax into food processor bowl on top of grated onion. Add liquid from blender to food processor. Process with plastic mixing blade for 3-5 minutes or until the mixture is smooth and homogeneous, like well kneaded dough. Spread the batter on teflex dehydrator sheets 1/2 inch thick. Dehydrate at 115 F for 12-15 hours until ‘dry’ but flexible. Store in frig in airtight container. Sandwich: eat with avocado, sprouts, cheese, mustard. Snack: slather with olive oil, garlic and olives – or dip in olive-garlic oil. Pizza: put back in dehydrator for an hour or two with a layer of tomato sauce and finely sliced veggies. Scoop onto non-stick dehydrator sheets and shape into lumpy cookies. you prefer. I usually dehydrate them for 8 to 12 hours. I hope you will enjoy these cookies. They are wonderfully chewy. And the little apple chips give them a special ‘hit’ of sweetness. Feeling deprived, sets up a craving for “comfort foods” that ultimately make you feel even more unhealthy and uncomfortable. So rather than deprive yourself of unhealthy foods, I recommend indulging in healthy foods. Hints that have helped me avoid the deprivation trap. 2) If I find myself craving something that isn’t good for me (chocolate, corn chips, cheese or anything else), I intentionally overdose on it. I eat as much of it as I possibly can at one sitting. Once I’ve had a stomach ache from too much, it turns me off instead of on. Do not try this if you are diabetic. Never, never, never, ever allow yourself to feel deprived. Avoid bad foods by indulging in the flavors and textures you love safely, by choosing healthy alternatives. Yearning for sweets is a natural bodily hunger. Primates in nature eat half fruit and half greens. Fruit is a natural sweet that we were designed to indulge in. Eat this daily and your health will soar! Greens… Primates eat half fruit, half greens. 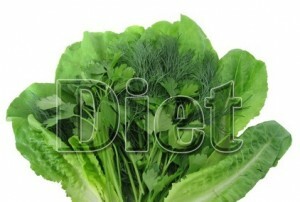 Few Americans eat enough greens… dark, leafy greens such as kale, chard, spinach and parsley. Herbs such as thyme, oregano, green onion or garlic tops. Food comes third in importance for survival, after air and water, because you can only live a few minutes without air, a few days without water and you can live quite well for weeks without food. Yet the quality of the food you eat makes quite a difference in the health of your body — as does the amount, the time and the way you eat it.